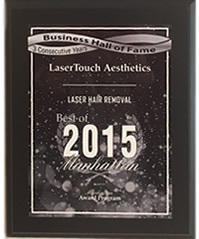 LaserTouch centers specialize in treatment of ingrown hair with use of latest technology laser devices. The ingrown hairs are reduced significantly in as little as one or two sessions and eliminated in a six session treatment protocol for substantially all conditions. Ingrown hairs, also known as pseudofolliculitis or razor bumps, are one of the most annoying problems, one can encounter in day to day skin care. They are a nuisance for both men and women, due to unsightly and painful characteristics. Any kind of hair removal, including waxing, electrolysis, shaving and tweezing. why do razor bumps occur? Most frequently razor bumps occur when hair is shaved and a short sharp stump is left behind, which then begins to grow back. When it grows back, it curls inwards and its tip punctures the skin and re-enters. The skin then deduces that this is a foreign object and attacks it. In the process, irritation and somtimes inflammation results. For some people, ingrown hairs are a serious problem because they can cause bleeding and permanent scarring of the skin. what are ingrown hair treatment options? There are several widely-available solutions that can combat ingrown hairs. These are shaving, plucking, waxing and using crèmes and gels. These methods all produce temporary solutions. 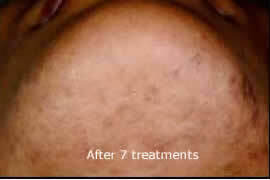 LaserTouch Aesthetics offers laser based hair removal treatments using the most effective lasers to remove ingrown hair. Laser hair removal is gaining popularity as more people switch over in search of a more effective solution to razor bumps. Depending on your skin and hair type, one of our experienced specialist will determine which laser device is more effective for you. 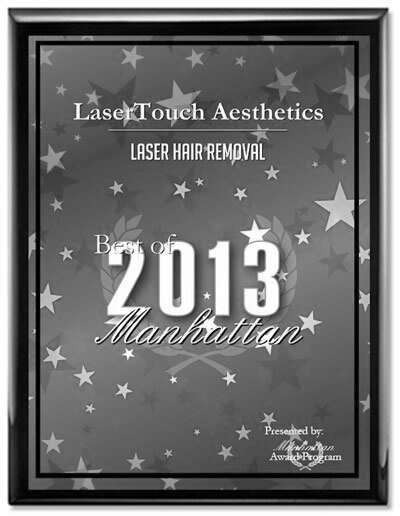 how does LaserTouch treat ingrown hair (razor bumps)? 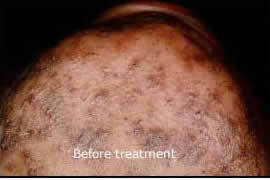 LaserTouch uses laser technology which allows safe removal of unwanted hair thereby eliminating ingrown hairs and leaving smooth skin devoid of any rashes or razor bumps. This is also ideal because it has an ideal wavelength of light energy which does not damage the hair and hair follicle axis because it is computer-regulated and therefore precise. It is also good at targeting the precise areas which need to be treated.